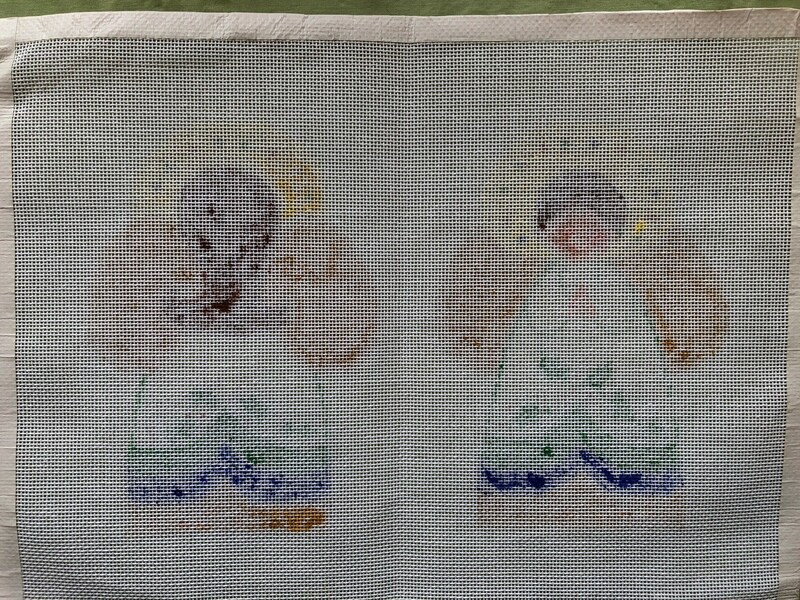 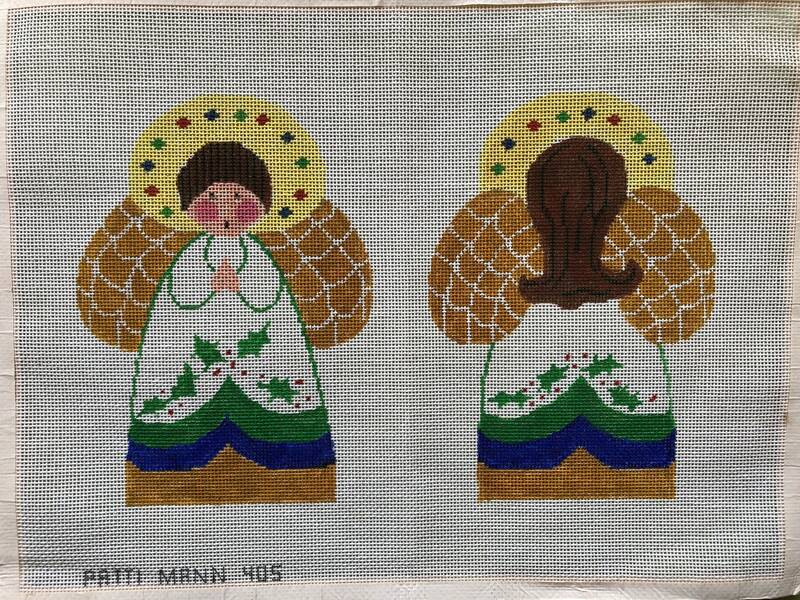 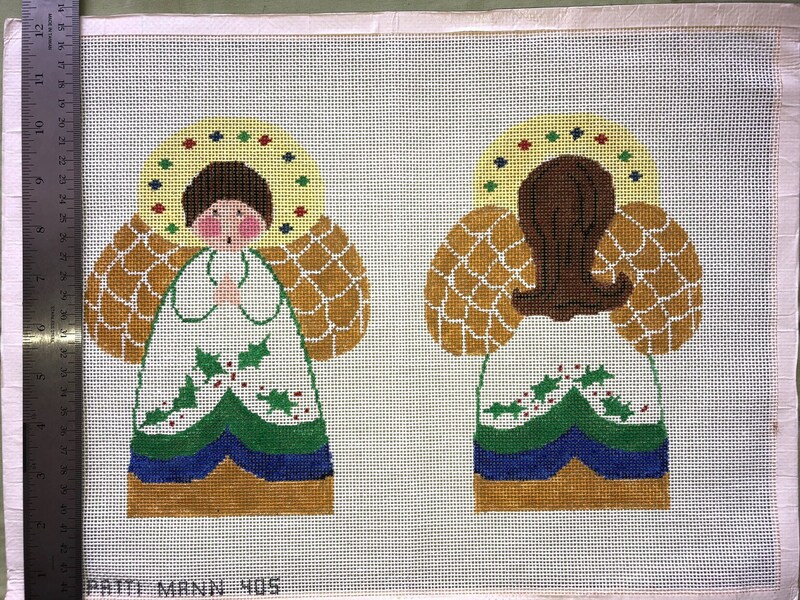 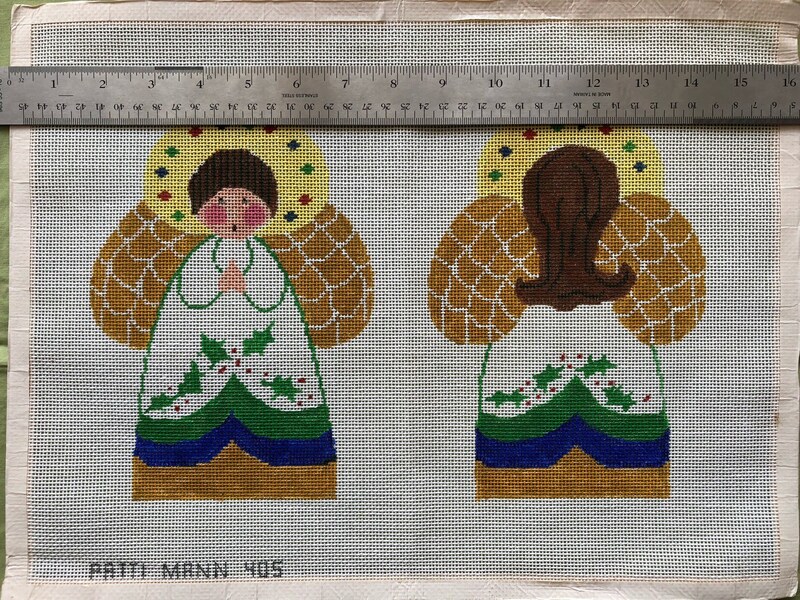 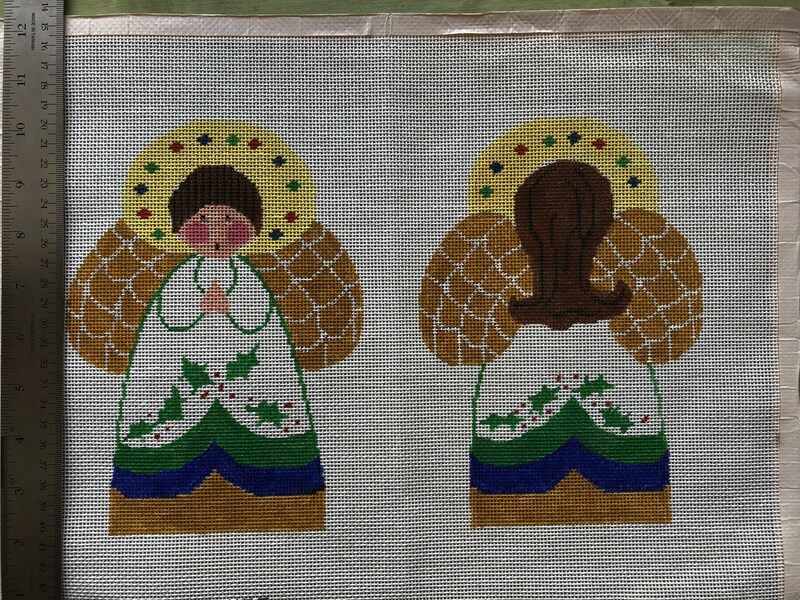 This is a hand painted needlepoint canvas for an angel Christmas tree topper The canvas is labeled "Patti Mann 405" along the bottom border. 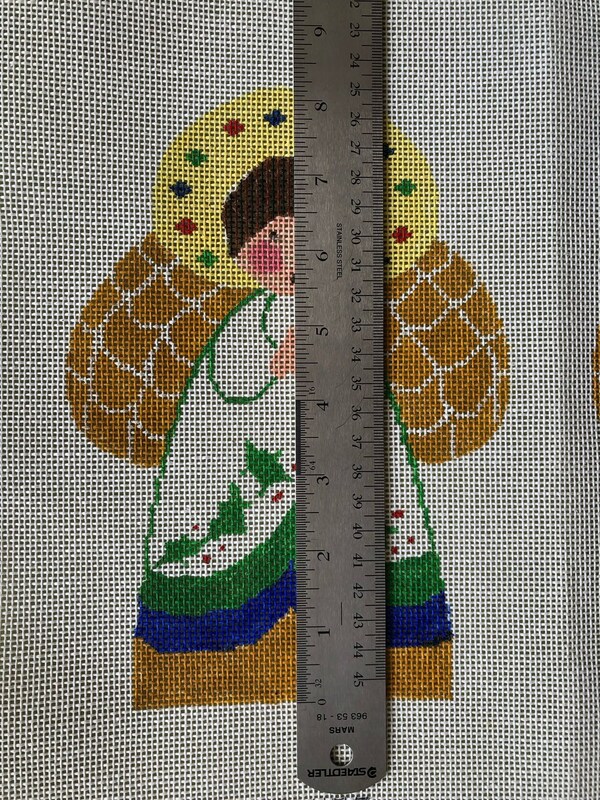 This is for the canvas only, this is not a kit. 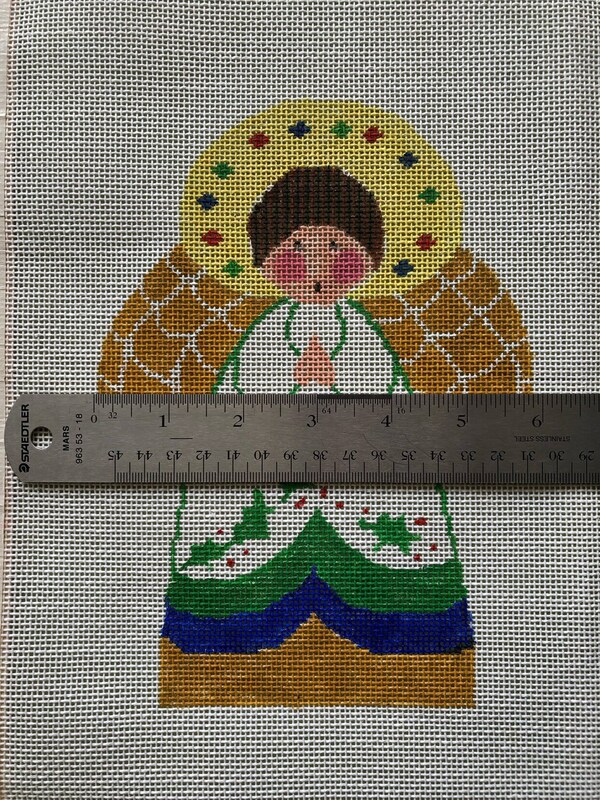 The canvas is large and will be loosely rolled for shipping.